Sandra Blow RA (1925-2006) was one of the leading lights of the abstract art movement of the 1950s. Her works are often on a large scale and consist of abstract collages made up from cheap discarded materials such as sawdust, cut-out strips of old canvas, plaster and torn paper. The use of such materials is designed to create an expressive informality and promote a natural, organic feeling. Her works have a tactile as well as visual emphasis on surface, and her use of simple large geometric shapes lends a feeling of expansiveness and dynamism. Sandra Blow was born in London in 1925, the daughter of a Kent fruit farmer whose orchards supplied retailers in Covent Garden. She left school at 15 and in 1940 entered St Martin’s School of Art. Shortly after the Second World War, Blow studied at the Royal Academy Schools, but in 1947 ventured further afield and lived in Italy for a year, where she met Alberto Burri, who was a significant influence on her work for the rest of her career. Despite her youth, Blow was at the forefront of the abstract art movement in Britain during the 1950s. Following her first painting sale, to Roland Penrose (a founder of the Institute of Contemporary Arts), Blow’s career took off. Throughout the 1950s and early 1960s, she regularly exhibited with Gimpel Fils, the leading London gallery whose association with St Ives artists like Barbara Hepworth, Ben Nicholson and Peter Lanyon anticipated her move in 1957 to live for a year in a cottage at Zennor near St Ives. Sandra Blow was widely exhibited abroad throughout this time, establishing the international profile that her cosmopolitan outlook warranted. Participation in peripatetic displays of contemporary British art saw her work promulgated in Italy, Holland, Germany, the United States and later Australasia. In 1957 Sandra Blow featured in the first John Moores biannual exhibition in Liverpool and was included in the Young Artists Section at the Venice Biennale the following year. She won the International Guggenheim Award in 1960 and won second prize at the third John Moores exhibition at the Walker Art Gallery in 1961. In 1960, having returned to the capital, Blow acquired a large studio at Sydney Close in Kensington, where she worked for the next 24 years. In 1961 she started a 14-year stint teaching at the Royal College of Art. Although painters like Jennifer Durrant, Gillian Ayres and Joan Mitchell shared with Blow ambitious scale and expressive dynamism, she stands alone as the earliest and most original woman painter in Britain able to challenge the bar-room “macho” cult associated with free, informal abstract painting. In moving to St Ives during the mid-1990s, Sandra Blow came full circle, reinvigorating a Cornish art scene bereft of the glories she had sampled 35 years before. She exhibited locally but also fulfilled her obligations as a Royal Academician, participating in every Summer Exhibition at Burlington House, where she enjoyed a retrospective in 1994 at the newly built Sackler Galleries. Her uncompromising approach pushed printmaking techniques to new boundaries with the introduction of Hessian, film and cloth; the prints are almost sculptural. ‘Colour Within’ is a Limited Edition Silkscreen print with collage elements by the late renowned abstract artist Sandra Blow RA. ‘Colour Within’ has 18 colours with Collage elements. ‘Transparency’ is a Limited Edition Silkscreen print with collage elements by the late renowned abstract artist Sandra Blow RA. ‘Red Melange’ is a Limited Edition Silkscreen print with collage elements by the late renowned abstract artist Sandra Blow RA. ‘Red Melange’ has 14 colours with 9 Collage elements. ‘Orange and Red Facets’ is a Limited Edition Silkscreen print by the late renowned abstract artist Sandra Blow RA. ‘Orange and Red Facets’ has 16 colours. Black stripes on a white background with orange, red and blue shapes. ‘Red Circles’ is a Limited Edition Silkscreen print by the late renowned abstract artist Sandra Blow RA. ‘Red Circles’ has 16 colours. ‘Iridescent Wave’ is a Limited Edition Silkscreen print with collage elements by the late renowned abstract artist Sandra Blow RA. 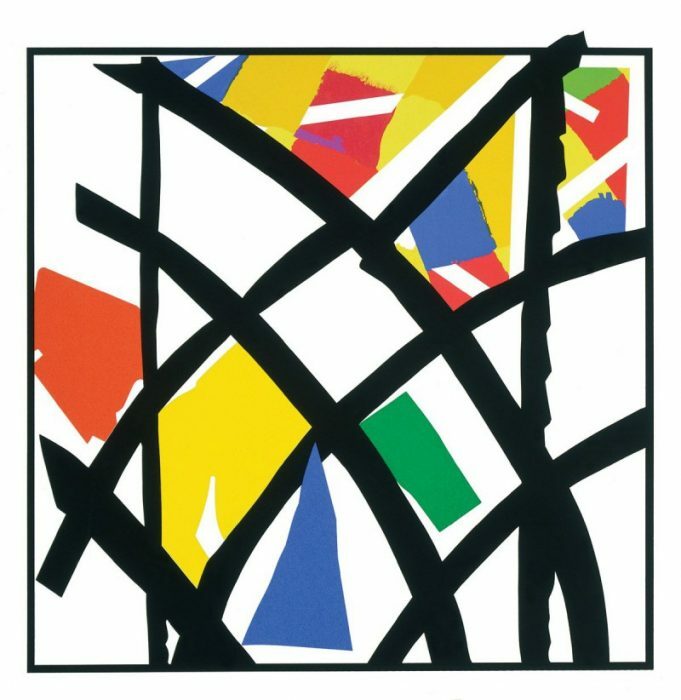 ‘Double Diamond’ is a Limited Edition Silkscreen print with collage elements by the late renowned abstract artist Sandra Blow RA. A red and white background with hand cut blue collage elements layed on top. ‘Interaction’ is a Limited Edition Silkscreen print by the late renowned abstract artist Sandra Blow RA. The leading female light of British abstract art Sandra Blow used colour, texture and form to create beautiful artwork that conveys great emotion. Her bold composition in Interaction combines bold colours and shapes in a frenzy of enerygy and joy. ‘Crystal Gazing’ is a Limited Edition Silkscreen print by the late renowned abstract artist Sandra Blow RA. ‘Crystal Gazing’ has 16 colours. ‘Blue Brown Interweave’ is a Limited Edition Silkscreen print with collage elements by the late renowned abstract artist Sandra Blow RA. ‘Blue Brown Interweave’ has 15 colours with 20 Collage elements. Blow’s use of hessian-like cloth adds great texture to the picture surface and makes a beautiful contrast with the smooth coloured areas of the silkscreen.